Hello, I hope you are having a great weekend enjoying your Stampin' Up! goodies. My baby Emma was invited to her first birthday party today. It was a pirate themed party and I thought it would be a good idea to use the "Big Day" stamp set to make a card for the birthday boy. This stamp set is just as beautiful and versatile as any of the stunning Stampin' Up! range and could be a great thing to make children stationery, cakes and cupcakes packaging. 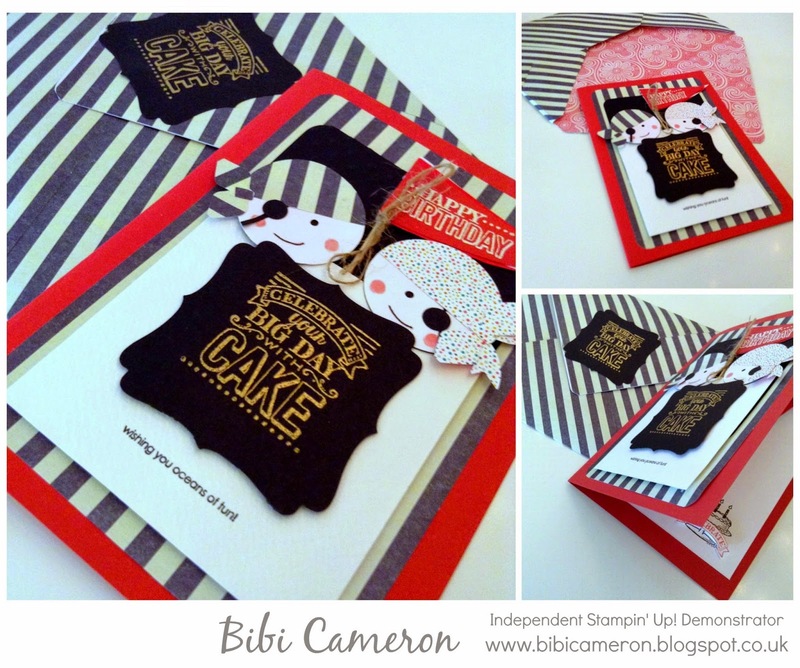 I have used the Stampin' Up! envelope punch board to make the lining envelope and I also used one of the stamps from the "Long fellows" retired stamp set to stamp the sentiment: "wishing you oceans of fun", I regret not having at hand the hardwood background stamp from Stampin' Up! as I could have given it a more piraty touch to this project. I can imagine the envelope like a treasure trunk hiding precious gold, and perhaps adding some golden embellishments? I love this idea - nothing new but lovely anyway!!! "Big Day" Stamp Set is part of the free items you can get from the Sale-A- Bration Catalog 2015... it will be available until March 31st - 2015 so hurry up and get this awesome tool. 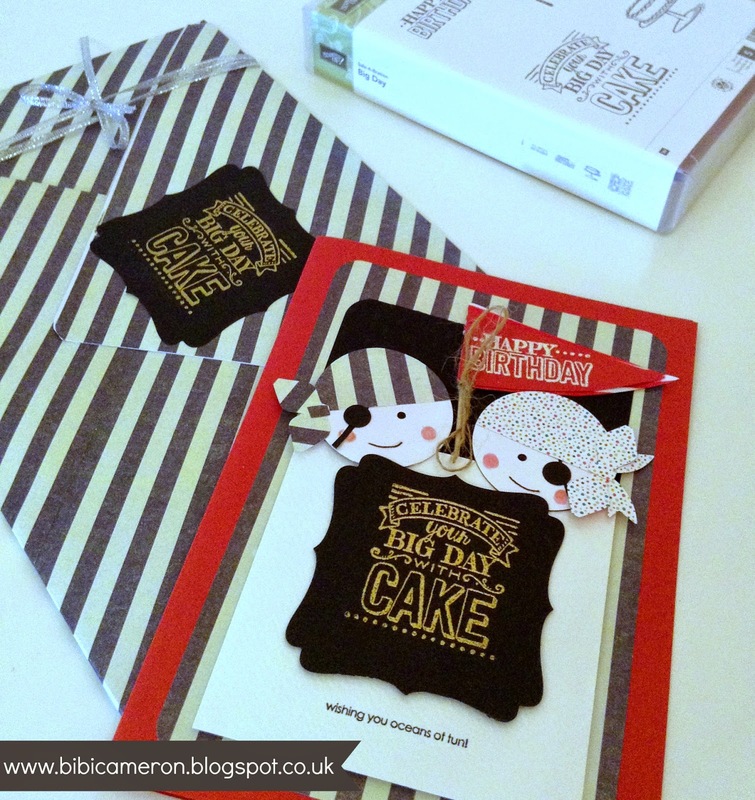 Pirates Children Birthday Card -Stampin' Up!